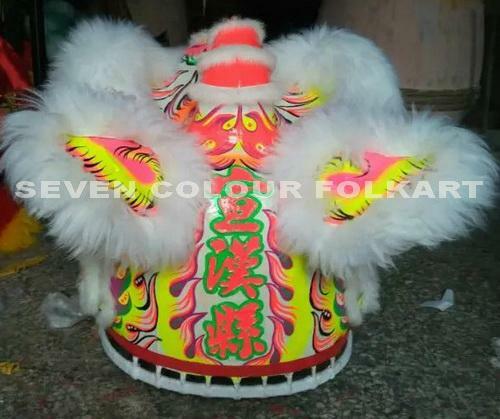 Chinese southern lion head and costume with good materials and fine workmanship handmade by experienced artisan. 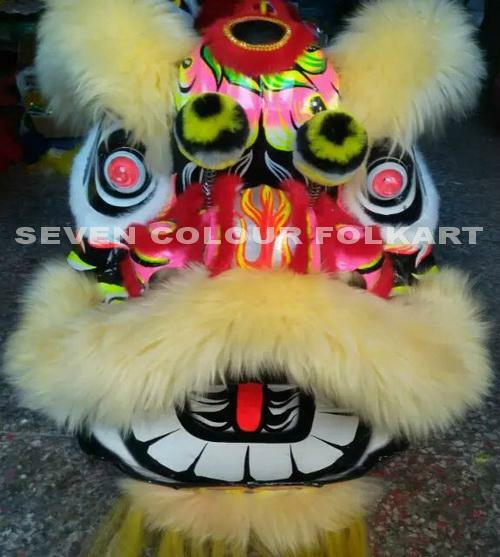 One set includes lion head, quilt and two pairs of pants, while shoes, drum, cymbals, gong, taitaufat, flag, costume, martial arts weapons, and other accessories for optional. 1. 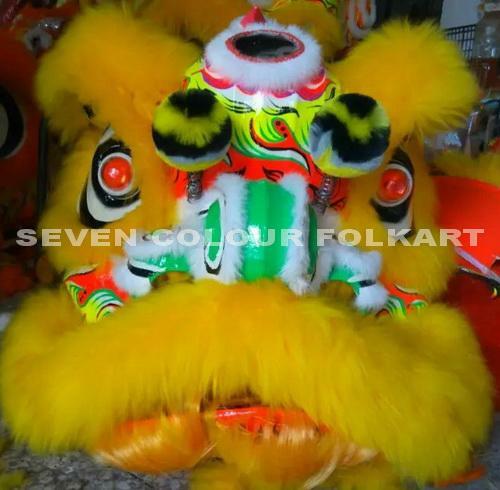 Sizes of lion head for for adults and kids are from 40x40x40cm to 85x85x85cm. 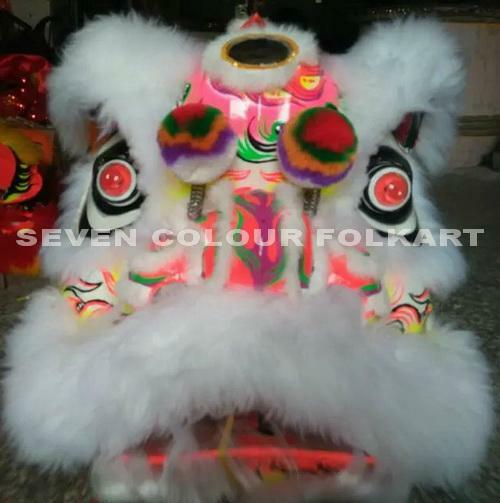 Our lion head is made of light and firm bamboo frame inside, then covered with rice paper, gauze, fabric with shinny slice, and hand written with specific nice looking pattern. The mouth and ears are able to move easily up and down, and the eyes are able to close and open. 2. 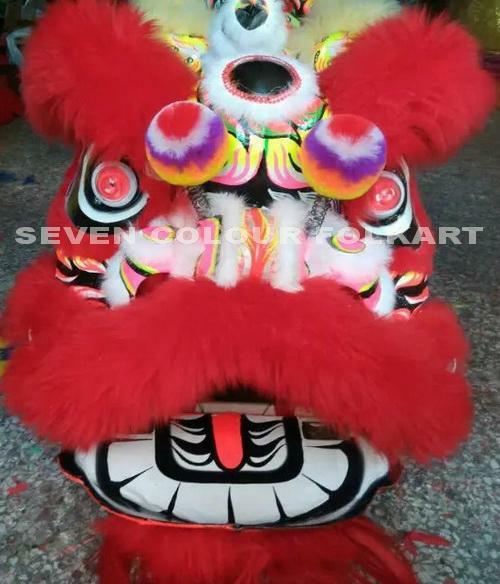 Weight of standard lion head size 75x75x75cm for adult is about 4-5kgs, and the whole set is about 10kgs which is quite comfortable for longtime lion dancing. 3. Different materials of bristle fur, wool, plume, rabbit hair and other nominated fur material for optional. 4. Different colors of red, yellow, orange, white, black, etc, different color combination is available. 5. Length of quilt and pants could be made as per client's requirement. 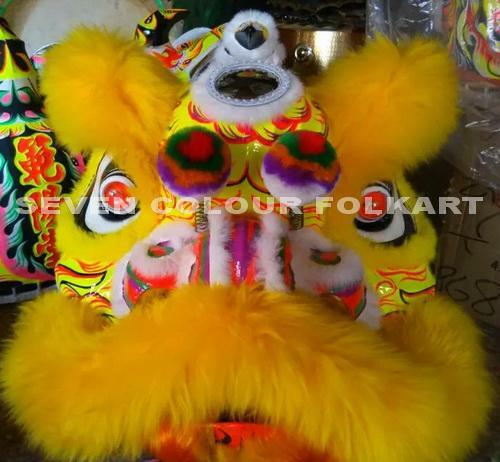 We are dedicated to produce all kinds of Chinese southern lion head and costume, drum, gong, cymbals, taitaufat, flag, costume, martial arts weapons, and other accessories equipment for lion dance, as well as dragon and costume for dragon dance, for more than 30 years. We are providing good quality products with fine workmanship, reasonable price as we are the factory, professional service as we have worked in international trading area for more than 10 years. Foshan Lion Head is one of the most outstanding representatives of Lingnan culture and Eastern arts starting from Ming Dynasty. It implies driving out evil spirits and enjoying happiness. With bamboo frame and paper skin, it demonstrates the form of lion and expresses the verve of man. Rejoice of lions, sounds of gong and drum and firecrackers create the brilliance of China. Chinese southern lion head is mainly divided into three categories of literary lion head, military lion head and juvenile lion head. 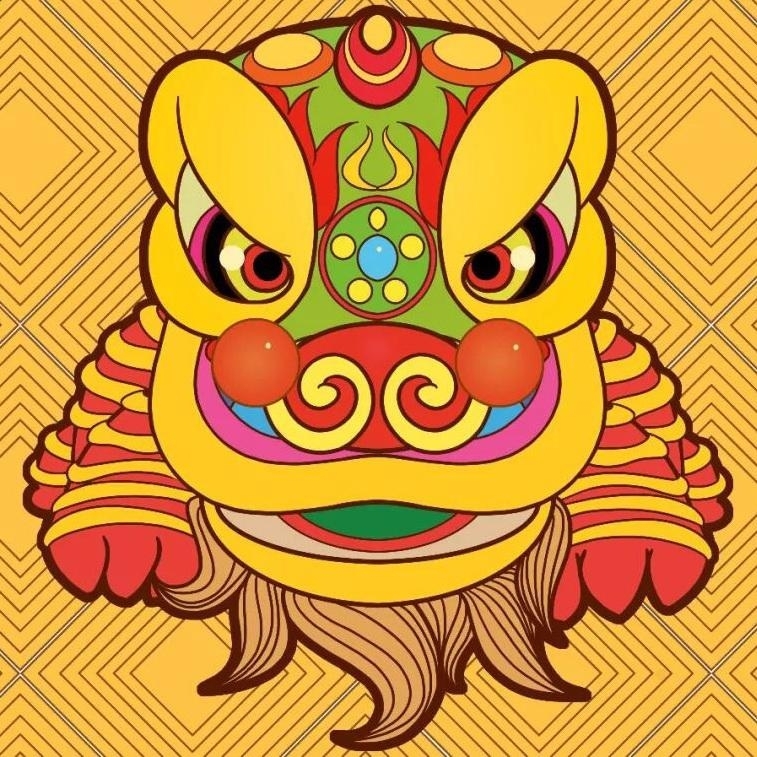 The literary lion head would be with facial features of Liu Bei or Guan Yu, performing in good and gentle manner; Military lion head would be with Zhang Fei as facial makeup, reflecting aggressive and brave character; Juvenile lion head is designed for children for playing with the lion head mask. For more information, please do not hesitate to contact me. Look forward to starting good cooperation with you!